An appeal isn’t a new trial; it is a request for a third party to review the case and determine if the original ruling was made in error. The window to request an appeal is time sensitive, a Notice of Appeal must be filed within 30 days of the final judgement. 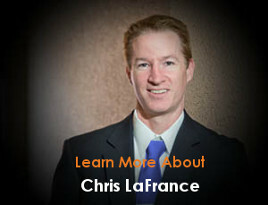 All judgements related to the case must be obeyed during the appeal process. Florida courts are asked to make decisions regarding a wide variety of family, civil and criminal cases on a daily basis. In a short amount of time, the court system is asked to review all the information and decide the best course of action without bias. While there is no guarantee the outcome of a family law case will be exactly what you hoped for, there is an opportunity to appeal the ruling if you believe an error or misinterpretation of the law has occurred. An appeal is not a petition for a new trial, but rather a request to have the judgement and supporting evidence reviewed to determine if there was an error or misunderstanding of any relevant laws regarding your case. Having an attorney on your side that knows the laws and regulations relevant to your case is imperative if you hope to change the outcome of your case. After the final judgement in a case, there is a limited window of opportunity to request an appeal. To do so, a completed Notice of Appeal must be filed within 30 days of the final judgement. After the 30-day window expires, you can no longer appeal the ruling and the matter is now considered closed. Once the notice of appeal is officially filed, your attorney will prepare an appellate brief. The appellate brief will explain the case, provide legal arguments regarding the original judgement and request the appellate court reverse or correct an error the trial court made. At this point, the trial court representative will file an answer brief in response to the accusations of the appellate brief. If needed, a reply brief will be prepared to address any additional facts from the answer brief. Now that all the briefs have been prepared, they can be submitted to the Florida appellate court. A 3-judge panel will review all the submitted briefs. If they deny your appeal (officially referred to as per curiam affirmed), the original judgement will stand. If the judges agree, in full or in part, that a mistake was made, they may send the case back to trial court to be re-evaluated. Unlike a regular family attorney who has taken the time to learn know you personally and learn the facts and circumstances of your case, an appellate attorney needs to approach appeal cases objectively. Appeal attorneys need to critically evaluate your case from a technical perspective to determine if the case is eligible for appeal and then devise a plan to best present these facts. 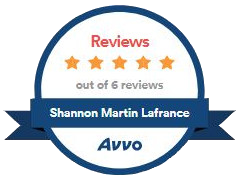 Finding the right lawyer to appeal your family law case is important. They need to know the rules and applications of the Florida laws and statutes that can come into question during the appeal process. 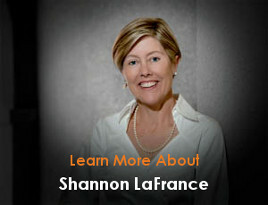 Shannon LaFrance is an appellate attorney with years of experience with Florida family law and a passion for helping families in their time of need. If you believe your case may be eligible for appeal, do not hesitate to fill out the form in the sidebar or call us at (813) 930-5542 for a case consultation.